adidas is teaming up with Dragon Ball Z for the very first time to release their new adidas Originals by Dragonball Z line of sneakers. You can look forward to kicking it with 7 different sneaker designs which will be released over the next few months. The first two models are inspired by Goku (ZX 500 RMDB) and Frieza (YUNG-1DB) and will drop on September 29. Both will come packaged in special boxes. This will be followed by Son Gohan (adidas Deerupt) and Cell (adidas Prophere) in October, Vegeta (adidas Ultra Tech) and Majin Buu (adidas Kamanda) in November and finally Shenron (adidas EQT Support Mid ADV Primeknit) in December. The sneakers are sure to leave an impression people as they combine the classic adidas design with generation-transcending and internationally beloved Dragon Ball Z franchise. 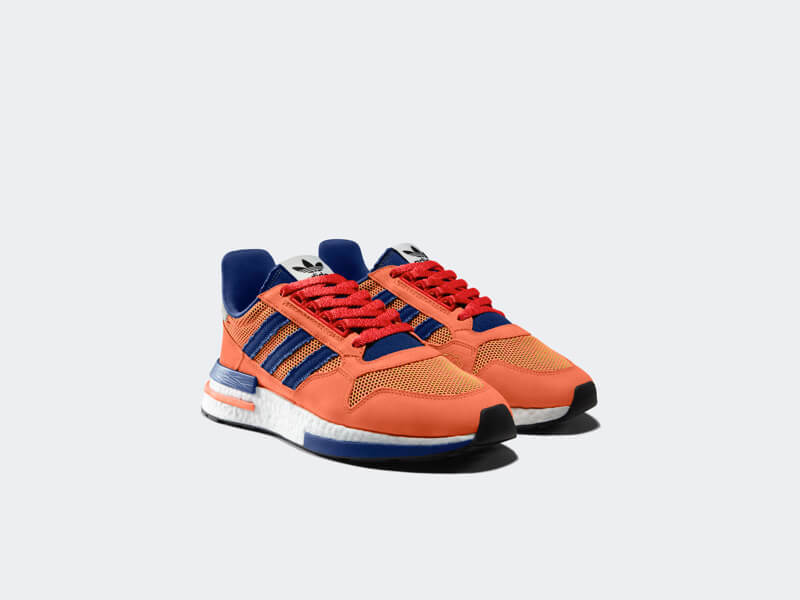 These ZX 500 RM sneakers are inspired by Goku with a blue and orange colour palette. They are still made with the classic mesh and suede like the originals and by keeping the iconic three stripes they have been able to recreate the outfit that Goku wears. The toe box and sides are lined with yellow mesh to symbolise turning Super Saiyan. The back of the shoe also features Goku’s kanji “悟” and the sides also features Flying Nimbus graphics. 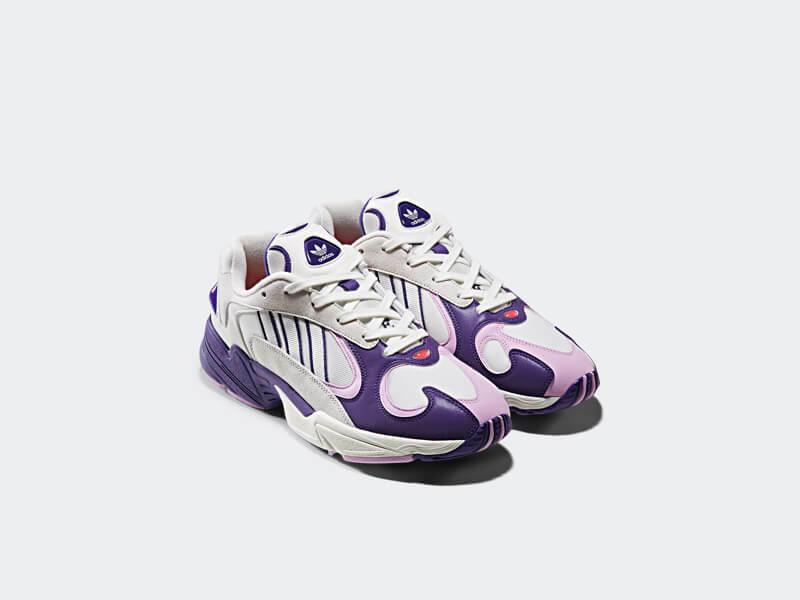 This pair of YUNG-1 DB sneakers is inspired by Frieza, showcasing a white and purple colour palette. It has a smooth and impactful silhouette, combining a variety of materials including suede. There’s also a touch of pink to finish that Frieza look. The purple TPU material is made to look like Frieza’s shiny shoulders while the suede emboss patches on the sides represent his tough and strong body. The tongue and insoles also feature Dragon Ball illustrations. If you’re a fan of the Dragon Ball series then boast your love for the franchise with these awesome-looking sneakers. Stay tuned for the other models coming out over the coming months. Next » Aniware Teams Up With “Dragon Ball” to Release Collaborative Wristwatch & Sneakers! Aniware Teams Up With “Dragon Ball” to Release Collaborative Wristwatch & Sneakers!